Melody Shuman has over 20 years of experience researching childhood development as it relates to sports, coaching, and parenting. Her first influential development was the creation of the Little Ninja program. 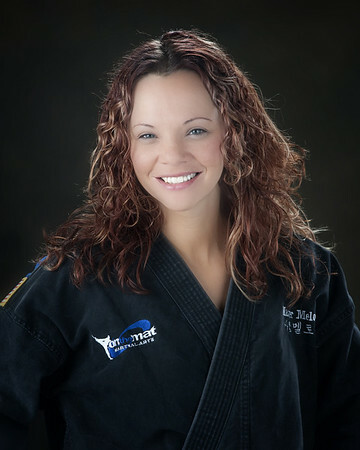 Through the years she has re-defined the children’s martial arts market with innovative age-specific curriculums and drills known as SKILLZ, which are currently operating in hundreds of martial arts schools around the world. Soon her strategies will be implemented into other sports including basketball, soccer, golf, and dance. Melody started training in the martial arts in 1987. She holds a 6th Degree Black Belt in Taekwondo, and has a World Champion title in forms. She also owns a school in St. Petersburg, Florida which is the headquarter school for SKILLZ, Inc. There are no listed relationships listed for this person yet! 7/17/2013 7:38:18 AM Instructor Tip: Create a systematic format for your warm-up routines and see better results!